Study and Live at Teacher‘s Home! 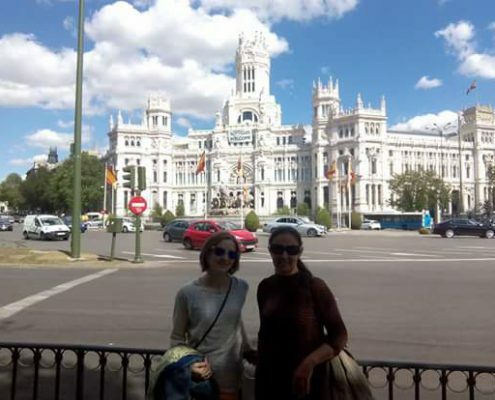 give you the unique opportunity for a full Spanish immersion homestay experience, living with and being taught by your own private teacher. It’s an ideal option for adults and young, who are looking for a custom-made program, who would like to perfect their Spanish knowledge and get maximum results in minimum time. Private lessons , 3 hours per day. 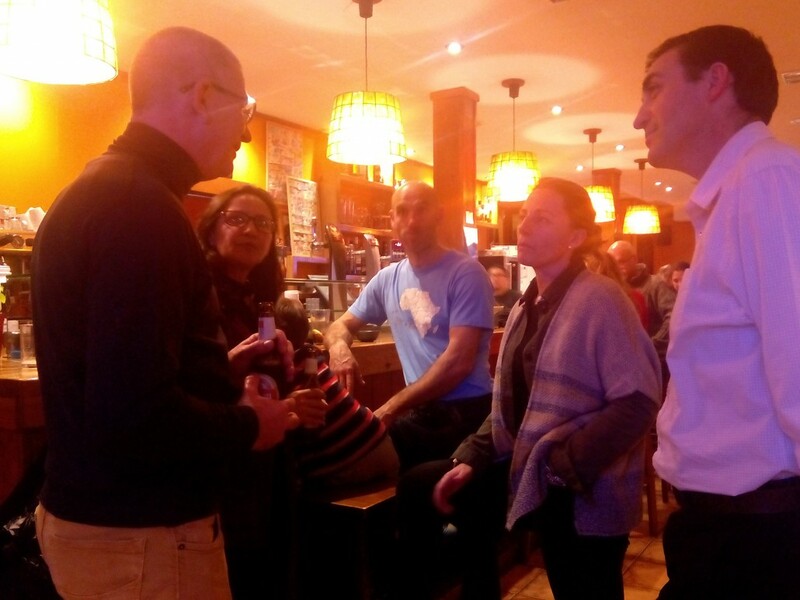 Activities in the nature, cities or at home with teacher or teacher´s family. 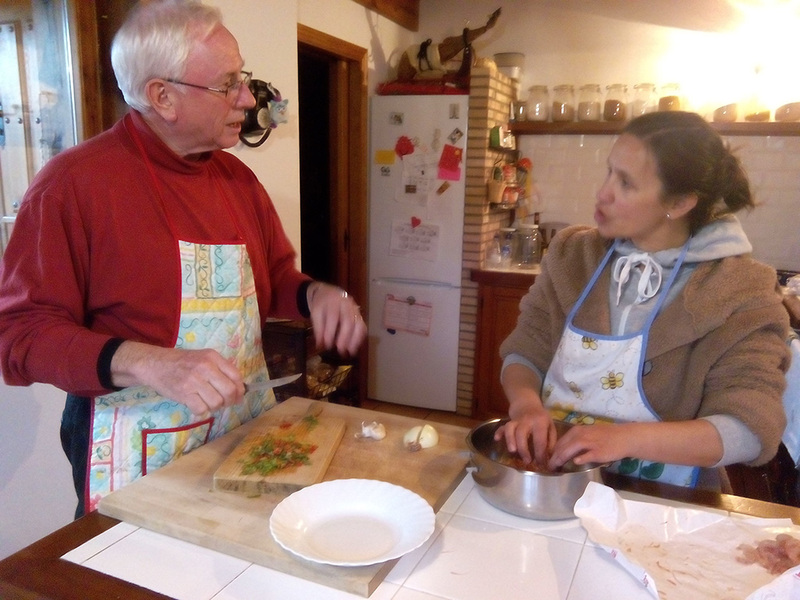 The students will be our guests, will learn Spanish having the opportunity to participate in our diary lifestyle and enjoying our facilities (swimming pool, garden, organic vegetable garden, hens, library…), meals, and learning to cook tipycal Spanish food. After 3 hour of Spanish class, the students will speak only Spanish all day round with the teacher, teacher´s family, friends and neighbors. 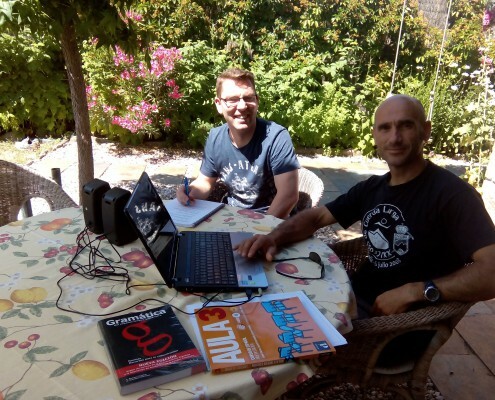 Spanish courses take place all year round, minimum one week. We adapt the course to your need. 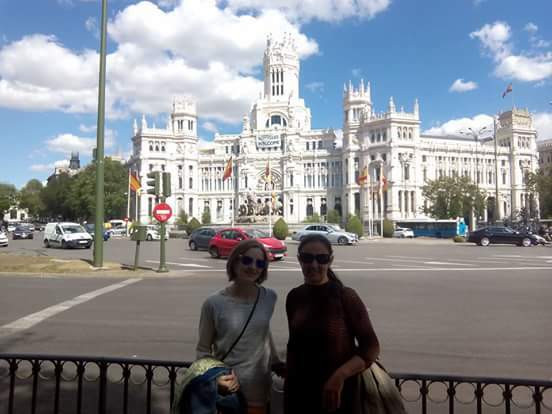 We are in a strategic place, Madrid and El Escorial are only 30 minutes away by car, Segovia and Avila 40 minutes away and Toledo 50 minutes away. We are able to tailor visits to these places according to your interests or requirements. Because, every day we will enjoy different activities after Spanish class. 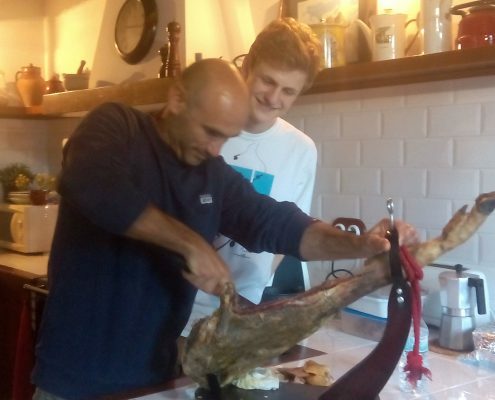 For example, we could visit a winery “bodega”, surrounded by ancient vines an enjoy their wines (for adults), or to learn how to make organic goat cheese…. You could choose it. 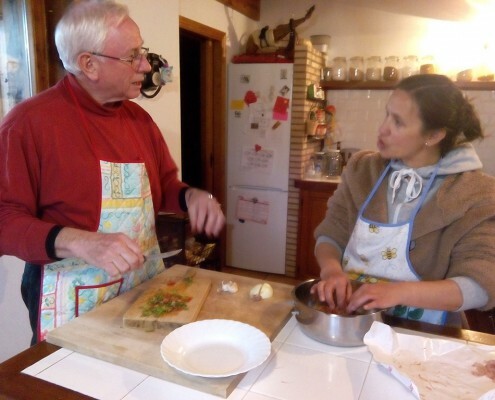 You can share the full immersion homestay in the same teacher family with maximum 3 people, same level. If your level is different, please, ask us.